Using real crushed diamonds, this next-generation exfoliation treatment replaces the traditional microderm abrasion with a more precise, efficient treatment that treats fine lines, hyperpigmentation, shallow acne scars, and dull skin. 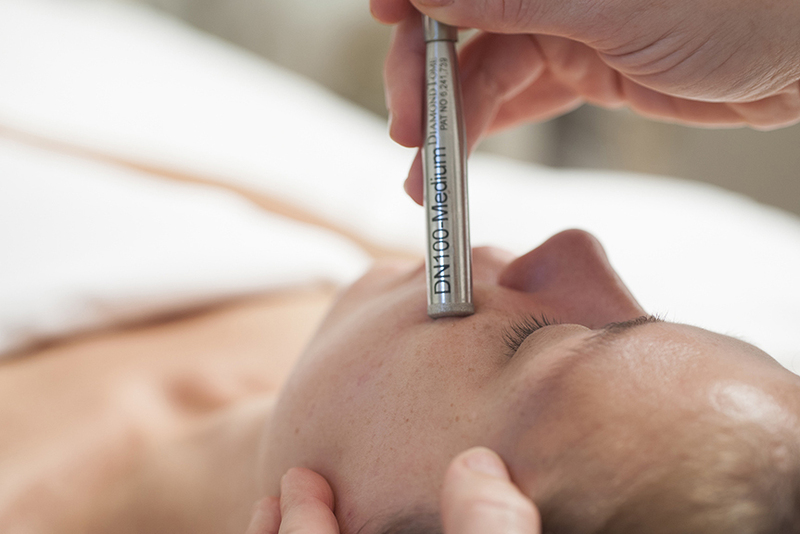 Unlike microderm abrasion, which can leave damaging, irritating crystals on the skin, our gentle diamond peel treatment safely removes the outer layers of the skin, stimulating collagen production, resulting in thicker, firmer, more radiant skin. First, our Diamond Dermabrasion and fruit enzyme peel remove dead skin cells, then your esthetician will apply a nourishing and hydrating vitamin-enriched mask. The treatment is completed with a spray of our medical-grade Swiss Oxygen.